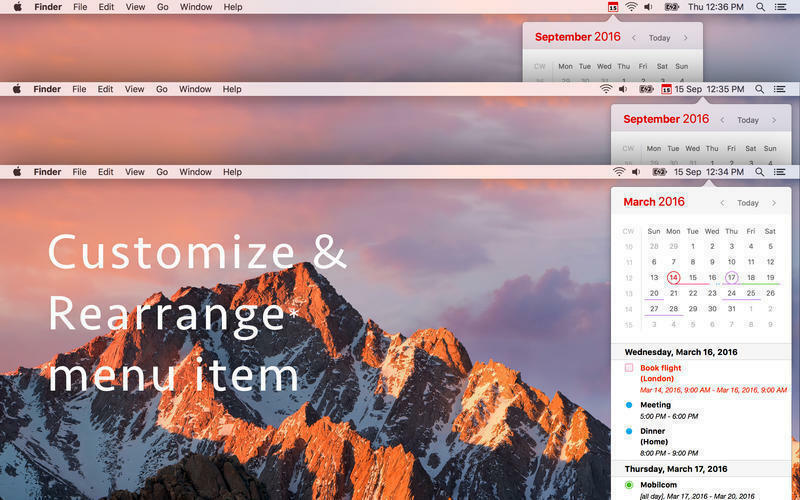 Complete menu-bar calendar for events and reminders. Is there a better alternative to Calendar 366 Plus? 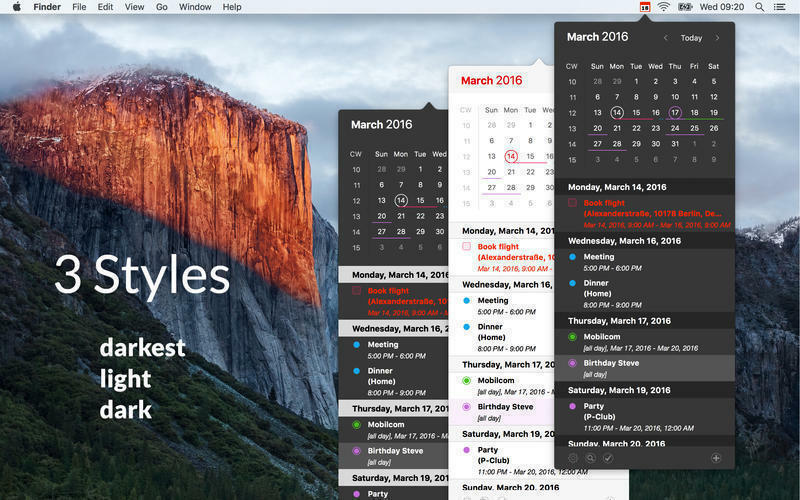 Is Calendar 366 Plus really the best app in Desktop category? 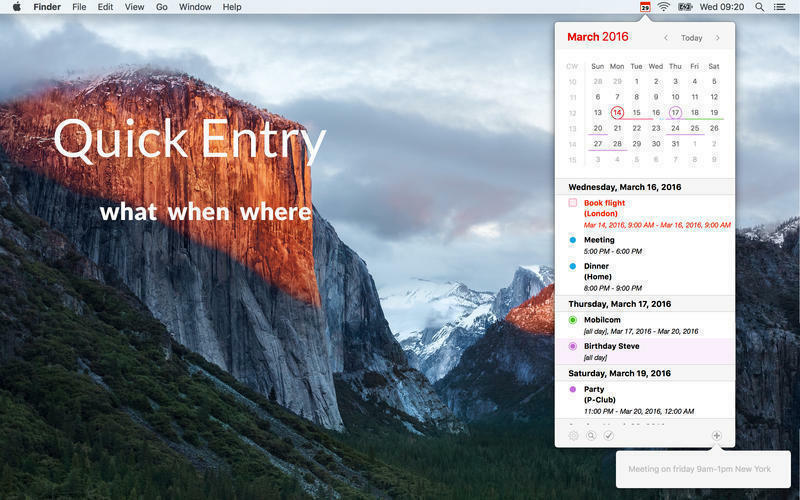 Will Calendar 366 Plus work good on macOS 10.13.4? Calendar 366 Plus lets you view, add, edit, and delete your events and reminders easily. Complete your reminders with just a single click. 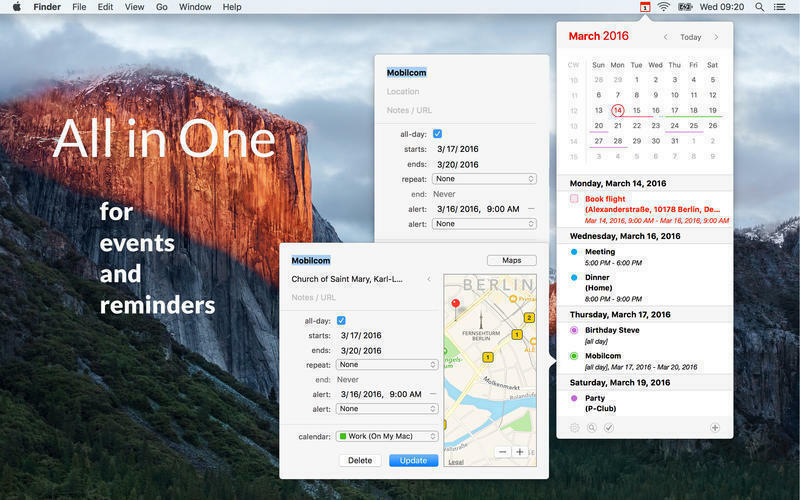 Search for addresses or locations and add geolocations to events (on OS X 10.11) and reminders. Create new events and reminders with details or just by typing in what's going on: "Meeting with John on Friday 3pm New York". 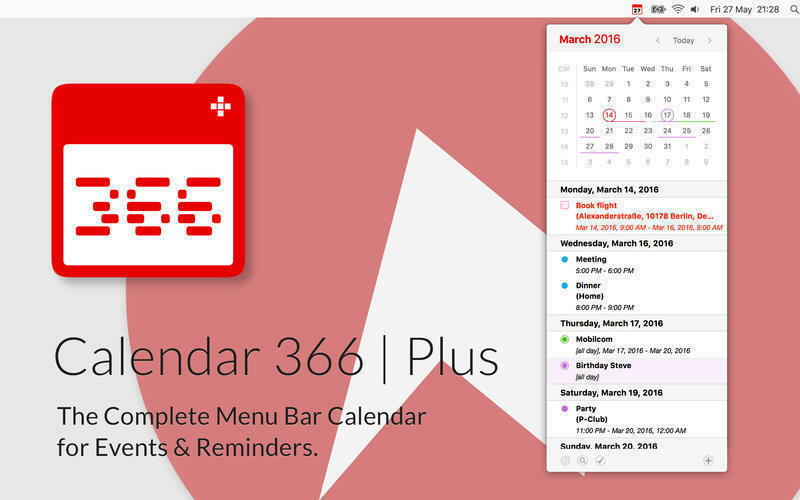 Calendar 366 Plus is the complete menu-bar calendar app. Just click on the menu bar item and get an overview of all your events and reminders.